The greatest inconsistency about relocating NOAA may be the name of its possible new home. Suggesting that oceans should be considered “interior” is clearly a stretch. The United States’ exclusive economic zone—the area of ocean over which we have internationally recognized jurisdiction—extends 200 miles from our shores and is nearly one-and-a-half times the size of our land area. A stronger case could be made that the continent is interior to our oceans. 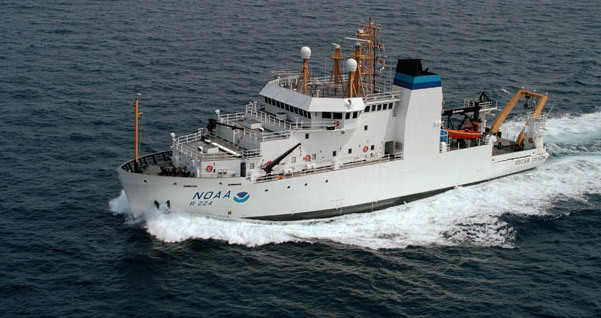 Still, while NOAA’s contributions to business and industry are numerous—try running a shipping company or planning farming operations without accurate weather forecasting, for example—it’s hard to make a case that NOAA is better suited to be managed alongside the Bureau of Economic Analysis, the International Trade Administration, and the U.S. Patent and Trademark Office (Commerce) than with the Bureau of Ocean Energy Management, the National Parks Service, and the U.S. Fish and Wildlife Service (Interior). And let us not forget that Interior is a department that is, at its core, tasked with conservation. Listed first among its tasks in its mission statement is that it “protects America’s natural resources.” After all, Interior established our first national park at Yellowstone in 1872. While Interior’s conservation ethic has been compromised in recent decades by interference from extractive industries like oil and gas, forestry, and mining, the Obama administration has made great strides in regaining control of our natural resource agencies. In fact, bringing NOAA into the fold may actually provide a positive example to other Interior agencies and drive the department back toward its conservation-oriented roots. Ocean advocates would do well to recall that government reorganizations are cumbersome and don’t come along all that often. Thus, we must take the longer view of this effort. Rather than simply considering how NOAA would fare in today’s Interior Department, we should consider how it would interact in an ideal Interior Department. Viewed through that lens, the move takes on a more positive outlook. Under previous administrations, the Department of the Interior did about as good a job cementing its conservation reputation as BP and Halliburton did cementing the Macondo well in the spring of 2010. One need look no further than that disastrous oil spill, which exposed massive failures of oversight in Interior. Perhaps no environmental organization has been more vocal in its opposition to move NOAA to Interior than the Natural Resources Defense Council, whose president, Frances Beinecke, said the move “could significantly undermine efforts to safeguard our oceans and marine life.” As a member of the oil spill commission, Beinecke saw behind the curtain and knows exactly how dysfunctional the Minerals Management Service’s regulatory efforts actually were, so her opinion on the matter should not be taken lightly. In short, it’s no secret that Interior’s modern-day oversight of natural resource extraction in our oceans has been inherently flawed. But thanks in no small part to the National Commission on the BP Deepwater Horizon Oil Spill’s efforts, the Obama administration has been taking steady steps to overhaul the problems exposed by the BP catastrophe. And it’s possible that bringing NOAA and its history of fairly strong regulatory oversight could help turn the tide within a department that in recent years has too often caved to pressure from those it is tasked with regulating. It would certainly stand to reason that having NOAA under the same roof as the agencies that permit and regulate offshore drilling would give NOAA a stronger voice in offshore drilling decisions. NOAA’s potential move to Interior is sensible given that they share a conservation mission. And as just mentioned, NOAA could bring some much-needed regulatory experience to the department. The issue that remains is how to keep the agency operating most effectively after the transition—something we should strive for no matter which way the political winds blow. Until midway through President Ronald Reagan’s term, the president held the authority to reorganize cabinet departments and federal agencies, but that provision of law expired in the early 1980s. Congressional Republicans will be loath to allow President Obama to score political points by executing a successful reorganization of government functions in the run up to an election. Many feel this political reality will prevent them from voting to reinstate this authority, but there is no guarantee. Meanwhile, ocean advocates must recall that the president’s initiative is not fueled by their pet issue. Rather the reorganization of business and commercial agencies is the priority here, and shifting of NOAA out of the Department of Commerce is fallout, not fundamental. This decision will not be made on the merits of natural resource policy. As such, they must prepare for the possibility that if the business community sees sufficient value in the red-tape reduction that could result from this move, it will pressure its political allies in the Republican Party to give in to President Obama’s request. Should that come to pass, there are three key areas that must be addressed. Policies required by law, like the mandate that all U.S. fisheries operate under scientifically based annual catch limits, will remain in place regardless of which department claims jurisdiction over NOAA. More critical, however, will be ensuring NOAA’s science-first attitude remains paramount among the agency’s priorities. NOAA is comprised of five fundamental components—referred to as line offices—and it is attempting to establish a sixth. These are the National Ocean Service, the National Marine Fisheries Service, the National Weather Service, the Office of Oceanic and Atmospheric Research, and the National Environmental Satellite Data and Information Service. The current NOAA administrator is also attempting to set up an NOAA Climate Service to coordinate research efforts on global climate change. While those seeking greater government efficiency may, at first blush, see more opportunity to pare off portions of these line offices to be combined with existing Interior agencies (handing over control of fisheries or protected marine resources to the U.S. Fish and Wildlife Service, for example), such efforts should be rejected. Over the course of NOAA’s 40-year history, these offices have come to be inextricably interwoven and any efficiency gained by splintering them apart would be overwhelmed by disrupting those decades of collaboration. NOAA’s response to the Deepwater Horizon oil spill was a prime example of this collaboration. Personnel and data from all five line offices came together, bringing their specific expertise to bear from fisheries and protected resources to satellite and surface mapping of ocean currents, wind, and weather patterns, to coastal restoration and habitat concerns. This partnership and cooperation ensured NOAA’s response to this tragedy was far greater than the sum of its individual parts. One of the biggest assets NOAA has enjoyed within the Department of Commerce is the size of its budget relative to the rest of the department. In recent years, the agency has represented approximately 60 percent of overall spending within Commerce. In fiscal year 2012 NOAA received $4.9 billion in funding, a figure that would still make it the elephant on Interior’s budget sheet—currently the highest funded agency is the National Park Service at about $2.6 billion. But given Interior’s role as regulator of revenue-generating activities such as oil-and-gas production, mining, and other resource rents on public lands, a direct comparison of budget line items doesn’t tell the whole tale. Because activities regulated by Interior are critical moneymakers for the federal government, the department can often attract a higher degree of attention from Congress and other political entities. Dwight gave me the appropriate assurances. A year later, our request for NOAA’s budget was cut so severely that very little of the Stratton Commission’s recommendations could even be initiated. Of course. Ensuring NOAA’s voice continues to be heard by the secretary of its overseeing department as well as within the halls of the Office of Management and Budget—the office that consolidates and prioritizes departmental budget requests—and ultimately in cabinet meetings will be fundamental to its future success. At the end of the day, the department in which NOAA resides is less vital to its underlying mission than the integrity and independence with which it carries out its mission. Regardless of which department houses the agency, we must continue to battle for adequate funding to carry out the vital recommendations of the Stratton Commission’s successor—the U.S. Commission on Ocean Policy, which produced its final report in 2004 and formed the basis for President Obama’s National Ocean Policy, which was finalized in 2010. Whether at Interior or Commerce, healthy oceans will remain fundamental to our nation’s economic and environmental future.